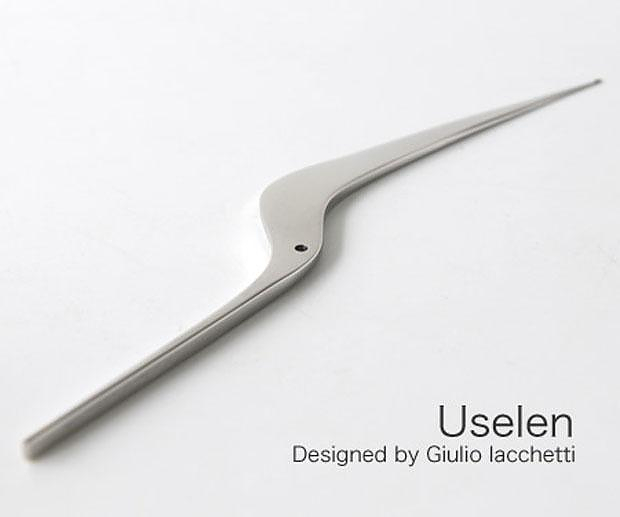 HomeBlogVariousAlessi Uselen Letter Opener by Giulio Iacchetti. 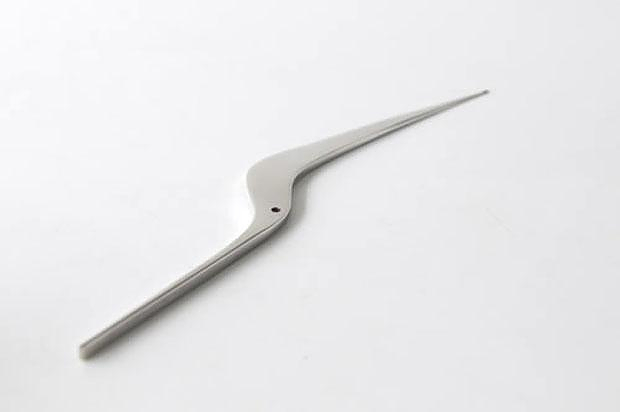 Designed by Giulio Iacchetti for Alessi the Uselen Letter Opener is inspired by the Hummingbird apperance and its sharp tail allows you to easily open up your letters in flawless style. 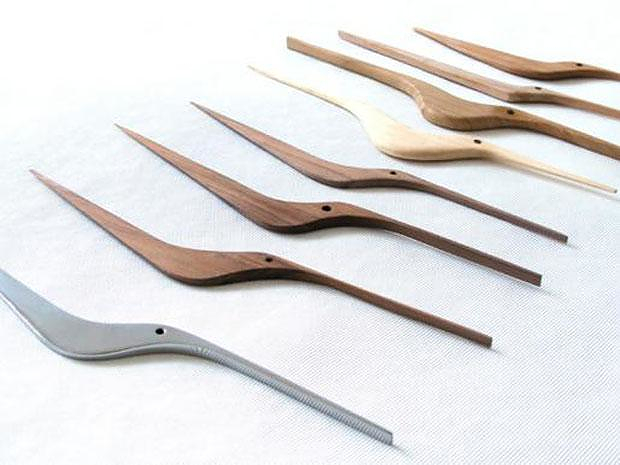 Giulio Lacchetti infuses a sense of impeccable style to the humble letter opener. 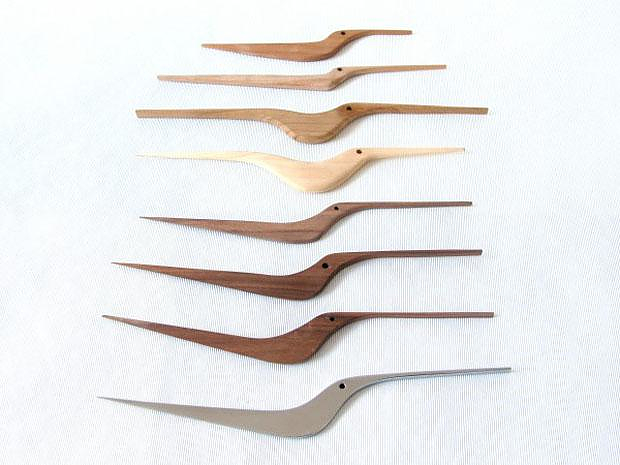 This graceful design is designed to look like a Hummingbird and perform its function in a stylish and efficient manner. 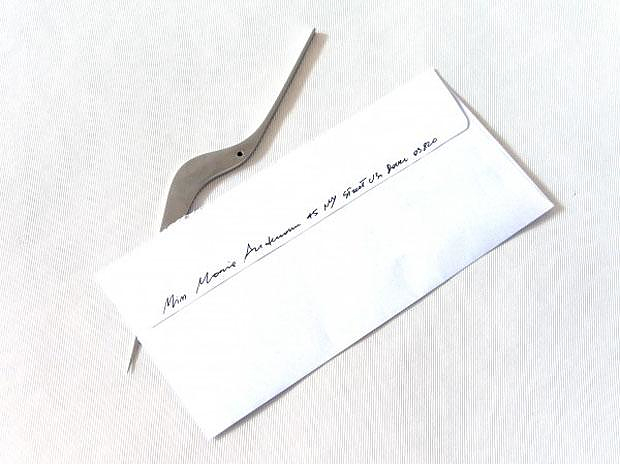 The sharp tail end is ideal for swiftly entering the unsuspecting envelopes allowing you to open up your letters with ease, while the long delicate handle maintains the balanced proportions and fits snugly in the hand. The name “Uselen” means a “small bird” in the dialect of the Cremona district of Italy. 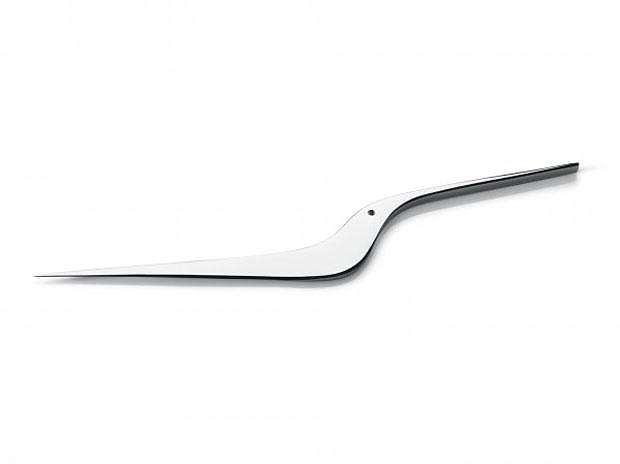 The Alessi Uselen Letter Opener differs greatly from typical dull letter openers with its unique streamlined form and its delicate “flowing” silhouette. 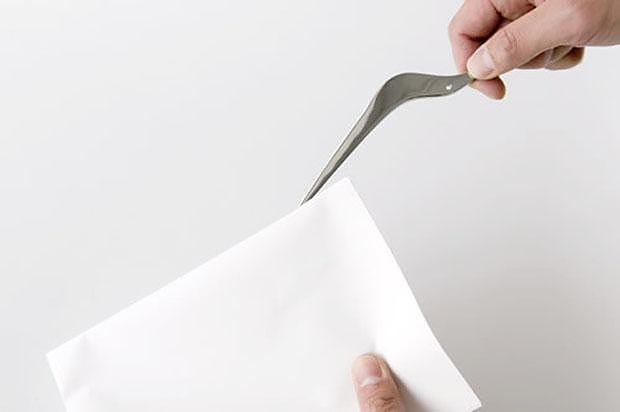 The Alessi Uselen letter opener is part of the Desktop Architecture Range which challenges the usually mundane designs of office products. Its graceful lines may look deceptively simple but as you can see in the pictures Giulio Iacchetti made several sketches and prototypes in wood until he found the perfect form. He gradually changed and simplified the shape of the object, until he realized an aesthetically pleasing shape which also facilitates the function that the object has to perform. It is made of high quality 18/10 satin stainless steel and has a matt finish. 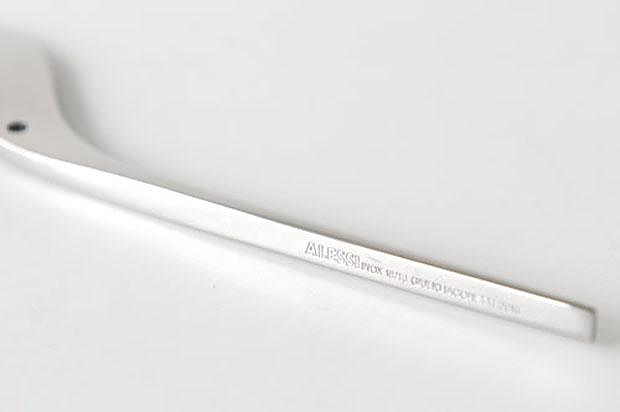 The Alessi Uselen letter opener arrives in an attractive gift box, making it an appealing gift idea.